Made to order in your size, every ring will take on its own unique form as the peaks are carved organically by hand. 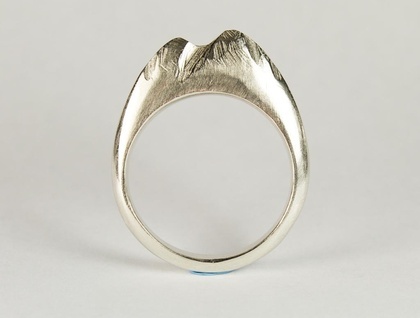 This ring can be made in the metal of your choice (bronze, brass or sterling silver) and you are able to specify the shape and number of peaks that you would prefer. Please allow 2-3 weeks for this ring to be hand-made. If you need help finding your size, please do not hesitate to contact me.